The Oxford dictionary defines the word passion as ‘strong and barely controllable emotion’ and passionate as ‘having, showing or caused by strong feelings or beliefs‘ . 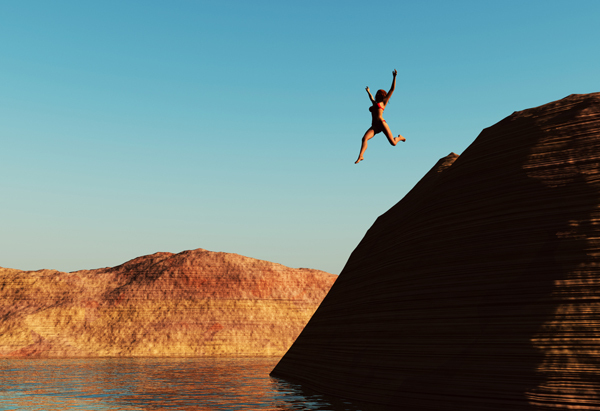 To succeed, be meaningful and happy, you need to be passionate about something. If you want to stay an average person, you may not bother at all, but then you will have a dull life. I strongly believe that we are all living on this planet to change things. Changing things is easier said than done. 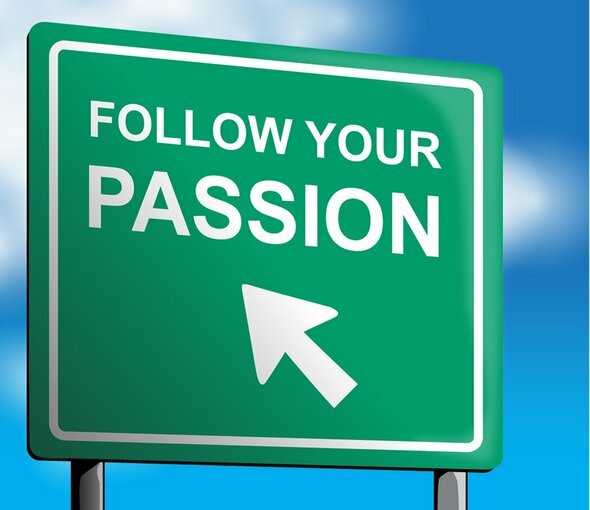 You can be passionate about anything: a football team, your family, friends, food, business, travelling and so on. But there has to be something in your life that you are really passionate about. Going back to the Oxford dictionary definition of passion, it is a strong and barely controllable emotion. It is really important that you can control it, but only barely. It should be such a strong feeling. If it is not controllable, it is not your friend any more. Making things worse, it is actually your enemy. There is a very fine line between being passionate and obsessive. The Oxford dictionary defines obsession as ‘an idea or thought that continually preoccupies or intrudes on a person’s mind’ and obsessive as ‘of the nature of an obsession’ . When you are obsessed with something, you cannot control your emotion. In other words, you are not your own boss any more. That feeling/emotion starts controlling you and can potentially destroy you. From my experience, educated and self-confident people are more likely to control their emotions. Emotions help them to succeed and be happy in their lives. Someone with a high ego very likely means someone with less knowledge and less self-confidence who tries to overcome these problems by increasing their own self-importance. I am personally very passionate about Besiktas (a Turkish football team), reading, travelling, technology and meeting new people. I am passionate about Besiktas, not because Besiktas is a good sports club, but more importantly because it has a unique type of supporter who is quite sensitive to domestic and global issues. Besiktas is a very good platform for good companionship, to channel your knowledge and, if necessary, help those who need them. I am passionate about reading; as I read more, I develop my thinking, how I see the world, what has shaped the world and the people. More importantly, each book makes me so curious that I want to jump into any different book. To give you an example, last year I read The World Order by Henry Kissinger, which made me read Hillary Clinton’s recent book, Hard Choices. After reading Hillary Clinton’s book, I wanted to learn more about the Saudis and it made me read Inside the Kingdom by Robert Lacey. I am passionate about travelling because the more I travel, the more I understand people with different backgrounds. So far, I have been to only 51 countries and knowing there are many more to go keeps me very motivated. In addition, I know that even if I visit every single country one day, I will need to go to those countries again. Why? Nothing stands still and I have to be updated! I am passionate about people because everybody has a unique life story. I am quite privileged to work in the banking profession as it is part of my job to meet new people, understand them and bring unique solutions to each of them. Am I obsessed with something? I hope I am not. People who know me should answer this rather than me. If you cannot find something that you are passionate about in your life, you should start searching for it. If you can connect your passion with your job, success is inevitable, then! Instead of looking for a living or an extra earning, do not sell your passion for temporary means! It should wake you up early, always have that in mind and get excited and think positively about the future. More importantly, it should help you to be meaningful and happy in our limited time on this planet! Hike the Interest Rate, Please! There is a FOMC meeting scheduled for next week and September, 17th is the date when Janet Yellen will hold a press conference. Everybody is waiting for that date in the financial sector as Janet Yellen will convey the decision on whether they will hike the interest rate or not. For those of you without a finance background, FOMC stands for Federal Open Market Committee. FOMC consists of 12 members and it holds eight meetings per year. September is one of the last three meeting dates for this year. This invaluable group of people are responsible for designing the United States’ monetary policy. The last FED interest rate hike was in 2006. 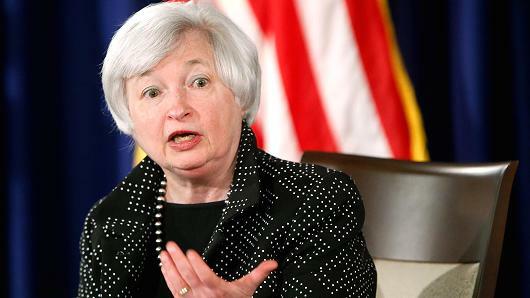 Yellen, FED chairwoman, has indicated many times that they are data driven and not market driven. The data are good. Unfortunately, the markets are not. There has been huge volatility since early June. It started with Greece and now continues with China. If Yellen delays the rate hike decision, it will once more contradict FED previous statements. What happens when you contradict your statements continually? And it is not good when you have competitors willing to replace you in the system. Many will discuss that FED has a global role to stabilize the markets, I do not really agree with this point. The fundamentals of different economies have recently changed dramatically. The US is growing and its unemployment level is now back to pre-2008 levels. In my opinion, we will continue to see divergent policies rather than convergent policies among central banks. Because we got used to seeing convergent policies after 2008 and now that policies around the globe will be mixed, it will be harder to predict future moves in many markets. There are many valuable economists and bankers that do not share my view. A reputable columnist in FT, Martin Wolf, wrote an article this week entitled ‘Keep rates low – the world is abnormal’. Andy Haldane of the Bank of England said “The act of raising the yield curve would itself increase the probability of recession”. The World Bank has warned FED not to increase the rate as the world is not out of the woods yet. Emerging markets will be affected dramatically by a rate hike. The rate hike will accelerate the outflows from emerging markets and it will create further turbulence. But some, surprisingly, are in favour of a rate hike. Indonesian central banker, Mirza Adityaswara, is one of them. Another is Peru’s central banker. Unsurprisingly, Swiss National Bank is praying for a rate hike. They want to abolish their negative interest policy as soon as possible. They know that it is unsustainable. We will shortly experience the end of the cheap money era. Tell me your CODE HALOS! The world is changing rapidly and we have been living two types of lives for some time now; physical and digital. Our physical lives are simple and also complicated. Simple because we follow our basic needs and wants such as sleeping and drinking. These are our instincts. Complicated because we interact with many individuals during our lives and we have motivations, emotions and egos. Our digital lives are complicated and also simple. Complicated because it is new and many of us are not really aware of it. Simple because everything is accessible, trackable and fast. Our digital lives are becoming important as they start overcoming our physical lives and this transformation has a huge impact not only on human beings but also on the corporate world. What are your Code Halos? In our digital lives like our physical lives, we are leaving traces behind us. These traces in the digital world are our CODE HALOS! It is the meaningful version of BIG DATA! Since human brain is programmed to forget, we simply forget things but computers DO NOT! 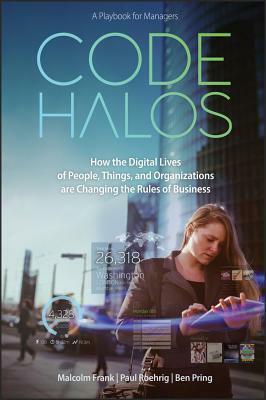 So Code Halos are our digital lives’ track record that is analyzed and made ready for us to make our lives easier. Nowadays Code Halos are being used by many companies such as Amazon, Google and Facebook. It is the DNA of what you like, who you like and what inspires you. Thanks to Google Analytics, even I am tracking your behavior on this blog…. e.g: How many minutes you spend on each page, which countries and cities you are from, your keyboard default language, etc. This valuable information will determine my future articles to get more traction from you. Whilst these are all happening at full throttle, there are people resisting change. So what will happen to those status quo keepers? If it is a person, they will be unemployed. Just like what happened to blue collars in late 1900s, digital world will get many people out of the workforce. The difference is; it will hit white collar employees this time. If it is a company, it will simply not survive. Like anything, Code Halos also bring its own challenges. Recently Ashley Madison clients’ data has been stolen and very private information is now public and most recently a HIV clinic in the UK released its list of their patients by mistake. 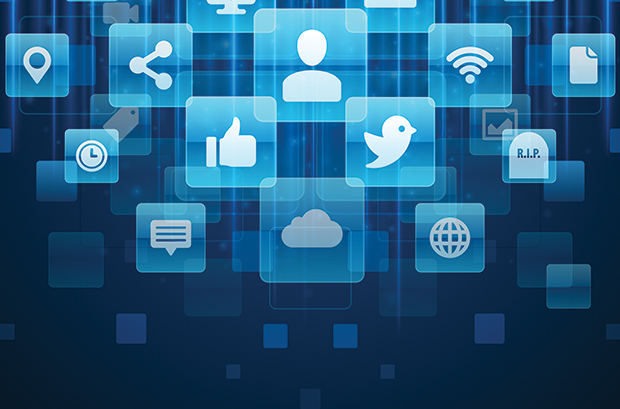 Data safety and using it for genuine purposes is crucial. As a banker, I am aware that banking will also change completely. It has already started with retail banking initially and it will follow with other segments of banking slowly. There will be no need for physical branches. This will create huge opportunities for every bank and internet companies that are allowed to collect deposit/give loans to compete in geographically large countries such as India, Australia and Russia. Alibaba has started collecting deposits in China and Apple has introduced Apple Pay to facilitate payments. You do not really have to be genius to predict that these companies may kick some banks and financial intermediaries like Visa and Mastercard out of the game in the coming years. We all have revenue production pressures and results do not always come very quickly. Patience and willingness to adapt will be the key factors that will determine if traditional banks and financial intermediaries will stay in this game. Book recommendation: This article is largely inspired after reading the book, Code Halos written by Malcolm Frank, Paul Roehrig and Ben Pring.